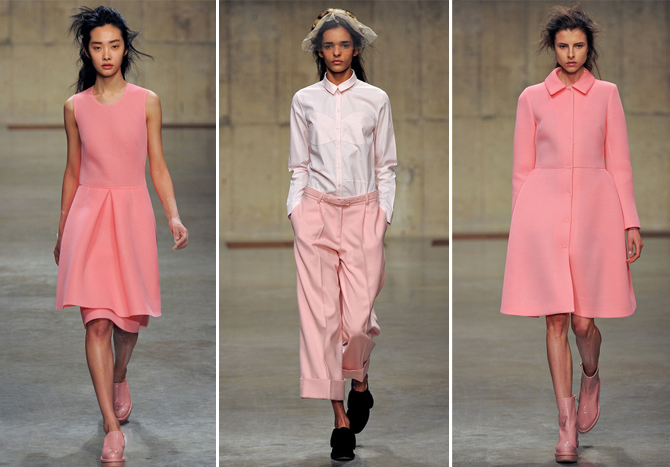 One of my favourite colours from the recent Autumn/Winter catwalk shows was pink. 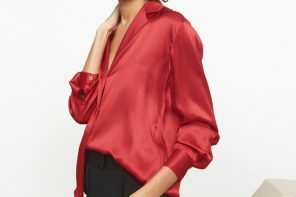 I’ve always loved pink, ever since I was told at a very young age by my mum that I couldn’t possible wear it because of my very bright red hair. Why not? Who makes these rules I thought and proceeded to break them ever since. Pink looks amazing with any colour hair and I will definitely be trying all shades of pink for spring. 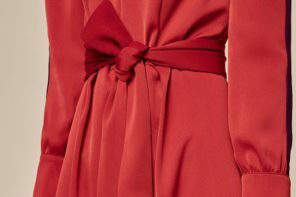 I particularly love those Simone Rocha wide leg tailored trousers worn with a tonal pink shirt – and those pink flat shoes are to die for. Oversize coats were another key trend from the shows, along with vintage blanket/teddy bear/nan fabrics. 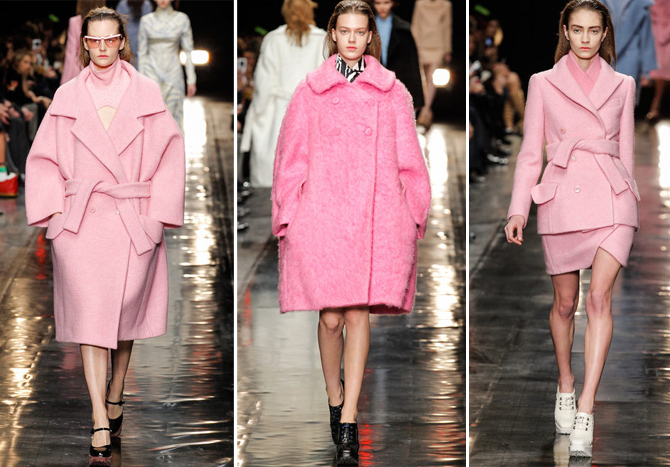 Combine an over-sized shape and a nan fabric in sugary pink and you have the coat of dreams – as seen at the Carven show (above middle) and Jonathan Saunders (below right). 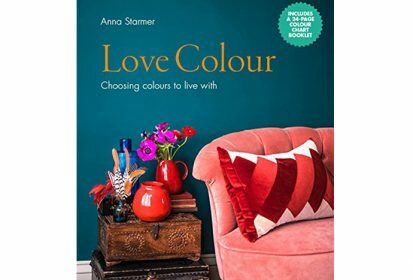 Below is some pinkspiration if you fancy giving it a go. You could try pink hair like Helen Mirren (although I’m disappointed with her, after her recent face lift! 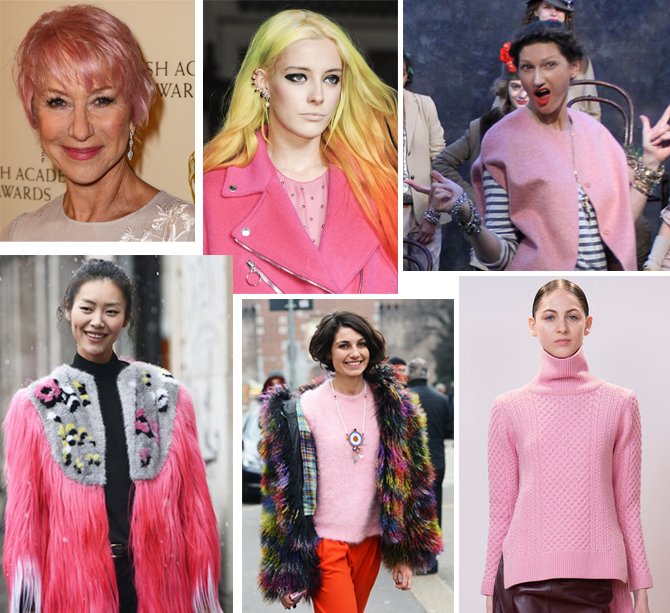 ), brighter pink tones as seen at Moshino Cheap and Chic on ‘it’ model Chloe Nørgaard (I’m currently slightly obsessed with her hair colours), ‏cosy pastel pink knitwear (seen on fab Jenna Lyons, or from Edun Choi) or thoroughly OTT pink fake fur……………..
….or you could go super sophisticated, like the divine knitted coat from Celine or Tilda Swinton in the video for David Bowie’s new song, The Stars (are out tonight). We have visited your women clothing blog and very happy to see all of your beautiful clothing’s collections really enjoyed surfing your blog too and we are into similar business but we sell sarees, anarkali salwar suits, salwar kameez and lehenga choli at DaniFashions.com do visit our website too and provide us comment too to improve our website. Lovely pink stuff. But, what? Did Helen Mirren have a face lift? How did I miss that. I’m disappointed too. I THOUGHT she looked different. Surgery is so odd, someone looks just slightly wrong. What a shame. Pink clothes look fab with grey hair. Such a lovely summery colour :) the pale pinks are the prettiest! Helen Mirren suddenly looks a bit distorted and not quite symmetrical like most faces after surgery. 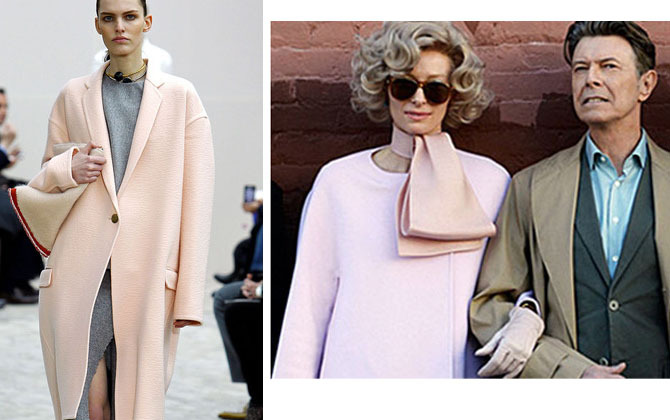 Anyway, I am just waiting for the pink Carven mohair coat to hit Primark. That’s my winter coat sorted …….